The preparation needed to transition your company from nonpublic to public is nothing short of arduous, but compliance with public-company reporting requirements and regulations does not end once your IPO is complete. On the contrary, public companies have additional reporting, disclosure, and compliance requirements that must be completed at various points throughout the fiscal year that you may not have had to consider as a nonpublic company. Per the Securities and Exchange Commission’s (SEC) Code of Federal Regulations (CFR), public companies must provide investors with periodic statements of financial performance—most notably the annual Form 10-K and the quarterly Form 10-Q. A key part of the annual 10-K filing and quarterly 10-Q filing is the Management Discussion and Analysis of Financial Position and Results of Operations (MD&A). The MD&A gives management the opportunity to discuss both the company’s past financial performance (up to three fiscal years) and prospective financial and operational outlook for the coming year. The SEC notes that this analysis should not be generic or boilerplate1 in terms of what and how information is disclosed. Instead, you should treat the analysis as an opportunity to offer unique insight into the company to current stakeholders and future investors—to tell the story of the company’s performance over the past one to three years from your perspective, and to convey your vision for the company’s future. The following article will first overview the SEC requirements for an MD&A, and then discuss 8 strategies for writing an effective MD&A. To provide information about the quality of, and potential variability of, a company’s earnings and cash flow so that investors can ascertain the likelihood that past performance is indicative of future performance. In a 2012 AICPA conference on Current SEC and PCAOB Developments, Katherine Gill-Charest, CPA (then chief accounting officer at Viacom), expressed the idea that MD&A guidance is not meant as a checklist, but is instead left largely to the discretion of management: “I want to be consistent with the spirit of the guidance…I want to give forward-looking information when I think it’s material and I think it’s something that meets the rules. But by the same token, I don’t want to forecast anything” (Journal of Accountancy). Gill-Charest’s statement is consistent with the commentary the SEC has released regarding the MD&A. The SEC has expressed that its intent for requiring the disclosure is not for management to simply recite the financial information contained in the 10-K or to be an “uninformative series of technical responses to MD&A requirements,” but to offer critical insights to investors from the unique perspective of the executive management team. That said, nine general elements should be included in your MD&A, if applicable: (1) liquidity and capital resources, (2) results of operations, (3) off-balance sheet arrangements, (4) tabular disclosure of contractual arrangements, (5) interim periods, (6) critical accounting estimates, (7) share-based compensation in IPOs (during related fiscal periods), (8) related party transactions, and (9) fair value measurements. The detailed requirements for each of the respective sections are available in Topic 9 of the FRM, but if you are looking for a plain-English overview of some of those topics, please see our article Drafting an S-1. Also note that the information you choose to provide in your MD&A falls under the safe harbor provisions, which are designed to protect your forward-looking statements against certain allegations of material misstatements or omissions. What Makes an Effective MD&A? As previously mentioned, the MD&A is an opportunity to discuss your company’s performance—both over the past fiscal year(s) and in the future—from your perspective as management. Although this report requires significant judgment from a company’s management team, some general strategies for writing an effective MD&A do exist. The following section will explain 8 tips compiled from publications by the Journal of Accountancy and a variety of public accounting firms, as well as from communications with the external reporting team of a major company, to help your organization approach this important task as a newly public company. Again, the MD&A is not meant to re-hash all the financial data that is included in the remainder of the 10-K. Paint the overview of your company by discussing the most material elements and metrics and leave the rest of the accounting details to the financial statements and disclosures. Remember that the MD&A is written to the general investing public. The MD&A is a discussion with your company’s current and potential future stakeholders. So, although it is reasonable to assume a base level of general financial acumen, not every one of these investors is going to have technical accounting knowledge—nor should they need it to effectively understand your analysis. Although there are myriad reporting and disclosure requirements you are expected to follow as a public company, the content requirements for the MD&A are not quite as stringent. Treating this disclosure as a mere regulatory checklist detracts from its purpose, which is for you, as management, to show investors how you see and manage your company. Although the MD&A is from management’s perspective, collaboration with the operations and external reporting teams is key in determining how to present the company’s strategy and direction. Explain the results of operations and offer insights from your vantage point as director. This is one of the few instances in SEC compliance where you can use some creative flexibility2, so take advantage of the opportunity to showcase your company and vision as you see fit. If the MD&A is too prescriptive, or, on the other hand, if the applicable guidance is interpreted too freely or is excluded altogether, you are likely to receive a comment letter from the SEC. Further, once you have decided on the content your final deliverable, it is paramount to keep contemporaneous documentation or conclusions regarding why your company has chosen to include or omit certain disclosures. Start with a general overview of the company’s financial performance to get readers on the same page, then drill down to the specifics. It can be easy to get lost in the detailed ‘weeds’ of the financial statements and disclosures, so the MD&A should help investors see the big picture version of your company’s recent performance. The MD&A, much like an executive summary in a formal report, allows you to establish the lens through which your investors will analyze the financial statements and related notes and disclosures. Answering the ‘Why?’ is the essence of the MD&A. You can assume both current and potential stakeholders will be able to calculate ratios and trends from the financial data, so provide them with the qualitative explanations as to why the numbers turned out as they did. Explain events that impacted your company’s operations, walk through the strategic decisions that materially affected the past fiscal years or quarters, respectively, and discuss how upcoming strategic decisions will impact future financial performance. This is your chance to fill in the gaps that purely quantitative financial information cannot completely explain. It may be helpful to write the MD&A in a way that allows readers to clearly see its purpose from the get go. Now that you have background on why the MD&A is a required disclosure in the annual Form 10-K, make sure that investors also implicitly understand its benefit and are not left asking themselves why you bothered to write it. As Brian Lane, a corporate securities lawyer with Gibson, Dunn & Crutcher noted in the same 2012 AICPA conference referenced above, the SEC will benchmark your MD&A against your industry competitors. Although the MD&A is one of the disclosures with the least regulation in terms of content and presentation, it is still an SEC-mandated report. There are fewer explicit rules, but the SEC will facilitate a degree of equity by comparing your MD&A against the disclosures of other companies in your industry. The SEC encourages the use of Key Performance Indicators (KPIs)—quantifiable measures of performance over time—to help readers of your MD&A clearly see your company’s financial and operational results relative to competitors in your industry. Including these metrics in your company’s MD&A allows investors to compare companies within an industry—helping them to make more informed investment decisions. Favorable KPIs help your company stand out, and directly addressing less-than-favorable KPIs allows you to fill in the gaps in investors’ knowledge by explaining why the results are lackluster and how they will be improved. 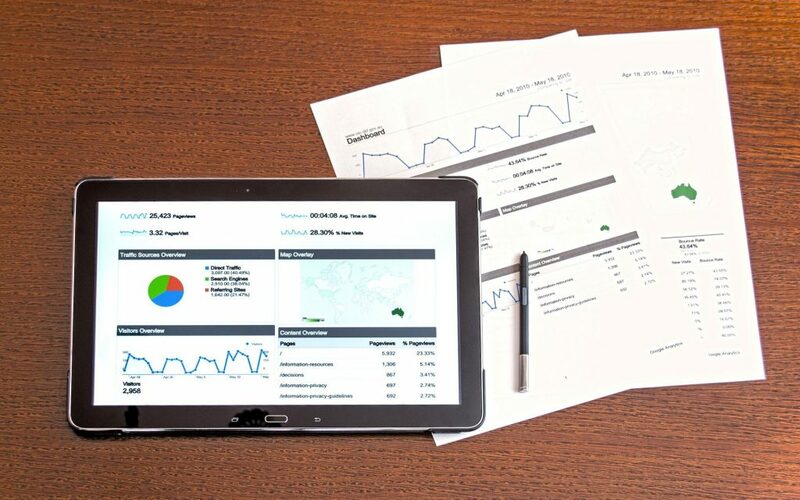 KPIs can include financial ratios like the current ratio and gross profit margin, as well as nonfinancial performance metrics that are unique to your company or industry. Nonfinancial performance metrics often measure things like product quality attributes, employee turnover, or number of repeat customers vs new customers. If your MD&A is not in the spirit of your competitors’ disclosures, you might get a comment from the SEC requesting that you make some changes. What does it mean to be in the “spirit” of competitors’ disclosures? It just means that although you should not necessarily have the same number and type of disclosures as the other players in your industry, the intent and reasoning behind your inclusion or exclusion of certain elements should be similar. Compare your MD&A to those of your competitors from the perspective of a potential investor: does your MD&A leave out important information, result in more questions than answers, or seem like an information overload? If you answered yes to any of these questions, your MD&A is likely not in the “spirit” of your competitors’ disclosures. Again, don’t turn the MD&A into a checklist standardized by your industry, but be sure your disclosures are at least on par with your competitors’. Non-GAAP metrics (Regulation G) are frequently used when, under certain circumstances or for certain companies, such numbers may be more reflective of the true operational state of the company than GAAP measures. For instance, companies may choose to exclude an array of items (typically expenses, ranging from reasonable to highly aggressive) from the calculations of their Non-GAAP results to present a more accurate financial depiction to current and potential stakeholders. Although the SEC does permit Non-GAAP measures, GAAP always takes precedence, especially in terms of presentation order and prominence, so it is important to monitor the emphasis placed on Non-GAAP results and metrics in the MD&A. Further, tying into the previous strategy, you should ensure that the Non-GAAP measures included in your company’s MD&A are relatively on par with those of your competitors. If you are discussing trends over similar periods in both the MD&A and the quarterly investor call materials, the messaging must be consistent across the board. The framing of the discussion in the MD&A should match earnings call materials, scripts, and slides. Although the MD&A is required as part of your public company’s annual 10-K and quarterly 10-Q, what you choose to include in it and how you choose to present or explain that information is largely up to you as management (subject to compliance with SEC guidance, of course). The MD&A is your opportunity to both showcase the highlights of and explain the shortfalls in your company’s performance over the past fiscal year(s), as well as to offer your vision of the future. It is called the “Management Discussion” because that is exactly the frame in which it should be written—as a discussion with current and potential stakeholders, and not as a heavily technical financial analysis. Moreover, it should be brief, as its primary function is to get readers on the same page as management before diving into the financial statements. Take advantage of your MD&A by not treating it as a simple checklist, but by taking the time to make it a truly purposeful, easily understandable communication with your investors. Your company, and its current and future stakeholders, will benefit from having a good MD&A because it provides clarity and insight into the company’s financial performance, and comparability against that of its competitors. Although there is some added flexibility in terms of content and structure of the MD&A, it is still critically important that you adhere to the applicable SEC regulations. Alexia was born and raised in Vacaville, CA. When she is not studying accounting, Alexia loves running, dancing, and training her dogs, Mickey and Daisy. 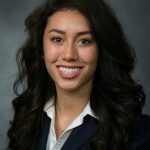 After graduation, Alexia will be joining the Deloitte Audit team in San Jose, CA.